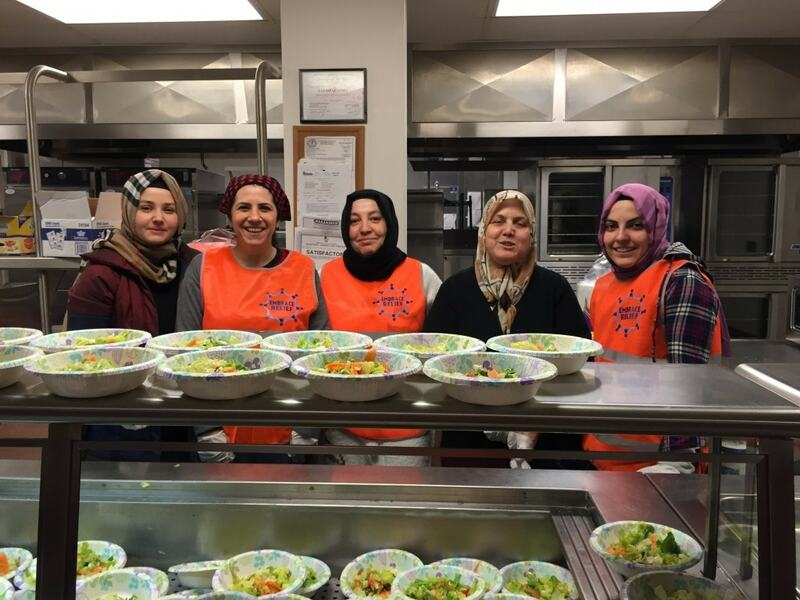 Turkish Cultural Center Bergen & Embrace Relief served a dinner at Bergen County Housing, Health and Human Service Center. As a part of Family Promise of Bergen`s Walk-in Dinner program, volunteers served dinner for 130 people. During the dinner, Homeless Person`s Memorial Day ceremony held at the Center. County Executive Kathleen Donovan participated the dinner and gave a speech at the ceremony. Every day of the year, a different group is scheduled to prepare and serve dinner at the Health and Human Services Center in Hackensack. Up to 150 people are served a nutritious meal each night. Many of the guests utilizing the program are residents of the shelter. However, the program is open to anyone in the community, no questions asked. Special meals are served on Thanksgiving and Christmas. Please note that cooking must be done off site and dates are scheduled several months in advance.